I have found the perfect appetizer. These are cheesy, spicy, shrimp-y, crunchy, and delicious. Plus, I have to admit, they look so very pretty. All of the colors are very festive. They would be perfect for a party setting. I made dinner last night for Zack and my dad. These were the first thing I added to the menu. This is actually the second time that I’ve made these for my dad and Zack. They have raved about them both times. I am not the biggest fan of appetizers as a general rule, but these are extremely easy to make and I highly recommend them. Prep: 15 minutes. Total: 17 minutes. Heat large cast iron skillet on high heat until it is very hot and starts to smoke. Add 1 tablespoon dressing, shrimp, red peppers and seasoning; cook and stir 1-2 minutes or until shrimp is heated through and evenly coated with dressing mixture. Stir in remaining dressing. Cover large dish or platter with layers of half each of the chips, shrimp mixture, and cheese. Repeat layers. Microwave on HIGH 1-2 minutes or until cheese is melted, rotating plate after each minute (or, if your plate is too big for your microwave, put it in the oven at about 200 degrees until the cheese is melted). Top with onions, cilantro, and jalapeno. Thank you! They are the best appetizer. Wow, I’ll bet these are delicious. I can see why you get rave reviews! The only issue I would have with this is that I would not want to share.. These are gorgeous!! 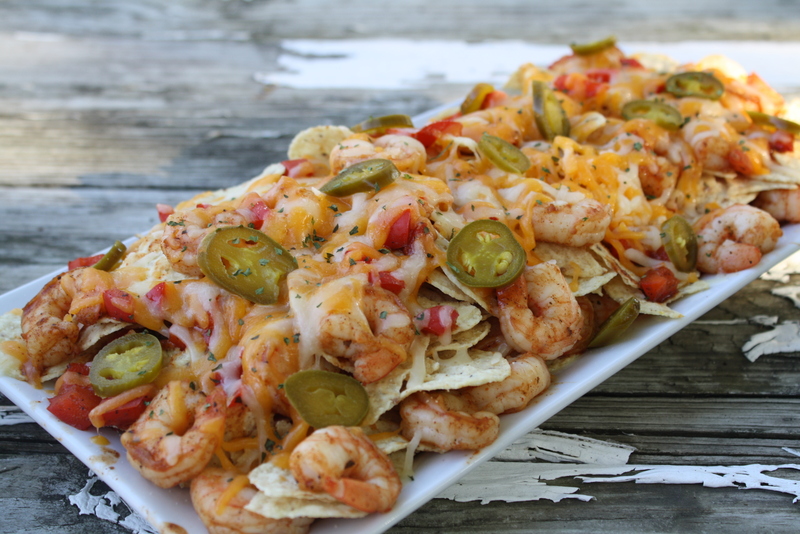 I love nachos – what a great idea to put spicy shrimp on them!! Put mostly anything on top of nachos and douse them in cheese and I think that I’m sold! These look great, almost a dinner by themselves! This dish sounds like a winner and with some green tomatilla sauce as a topper. Yummy! Thank you! I bet that would be a good topper! Cheddar and shrimp! I couldn’t ask for more! Sounds perfect! The idea of blackened shrimp nachos does make me hungry! Creative combo here with tasty ingredients. Thanks for sharing this awesome appetizer-yum! Thank you! You should try them. 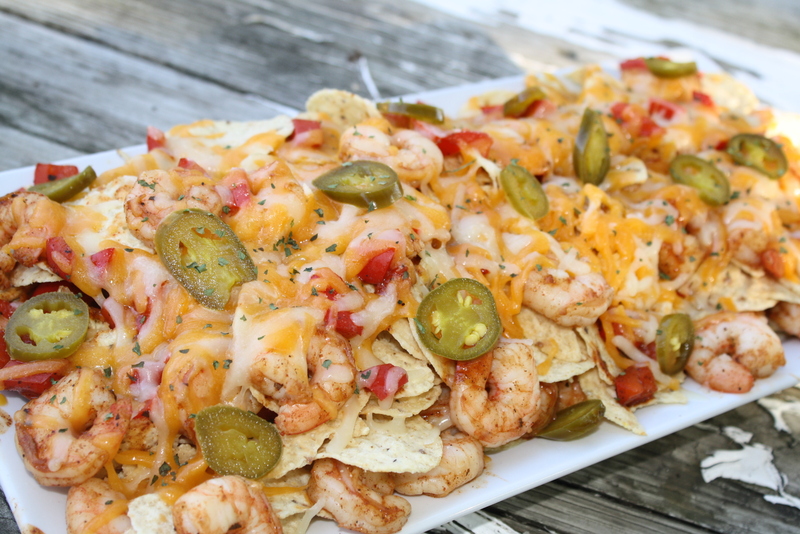 I’ve never thought about adding shrimp to nachos! It looks like it was a pretty great idea! Oh wow, these look amazing. My husband will love this. I can’t wait to show him! Those look extremely delcious–yes, I want a bite.